Imagine a living situation where you could keep your independence while still being taken care of. All of your housework, transportation needs, meals, and outdoor chores could be a thing of the past, leaving you with more time to do enjoyable things and relax after all of those years of hard work. This is not an assisted or costly facility. It is the newest trend in independent senior living; retaining the power of home ownership while still having convenient amenities that make daily life easier. Silverado Homes’ community for seniors, Silverado Village, has introduced this concept in Placerville to a wonderful acceptance. The only thing residents at Silverado Village are required to do outside their homes is enjoy the surroundings and relax in the natural beauty of the outdoors. All exterior landscaping and maintenance is taken care of by a professional grounds crew, and this includes even those extra duties such as cleaning out rain gutters, watering grass and outdoor plants, and mowing the lawn. The community even offers assistance with household tasks and common indoor issues such as changing out light bulbs, replacing air filters, or fixing random items around the house, so residents will never have to burden family members with those pesky jobs again. There are also housekeeping services available so residents won’t ever have to worry about trying to dust high shelves or risk hurting themselves by bending over to clean bathtubs or other hard-to-reach areas. Residents also have access to the Village Center as well as Eskaton Lodge, where healthy and delicious meals can be taken out or delivered directly to you, taking another thing off of your plate. The lodge has many high-end features including a restful spa, a fully-equipped fitness center, billiards table and a multi-purpose room for community use. There is also an indoor heated swimming pool, pool table and the cozy Bistro Café coming soon, where warm cups of coffee and amazing snacks will be on the menu. 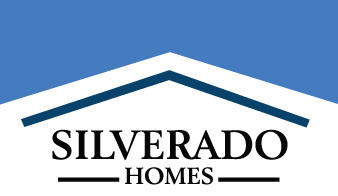 Silverado Village consists of 113 homes with four different floor plans that range from 1,207 to 1,590 sq. ft. The homes are all one-story and are built with a high level of efficiency, exceeding California energy efficiency requirements by more than 18% with features that include R-8 duct insulation and tankless hot water heaters. Each home also features no-step walk-in showers, recessed lighting on all walking paths, as well as emergency pull-cords and remote pendants for added reassurance. The sales office and model homes are located at 3741 Eskaton Drive and open daily from 10:00am to 5:00pm and on Wednesdays from noon until 5:00pm.